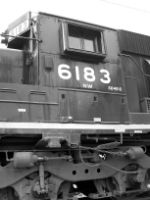 Description: An NS unit sits at the East Binghamton engine facility, waiting to go out on the next RPPY. 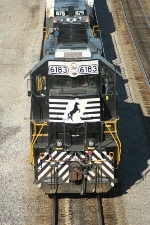 It shares the lights with a D&H unit, and an NYSW Alco. Just another day on the D&H. 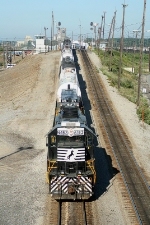 The D&H hopper at far right is full of sand, supplying the sand towers at the fuel pad. Description: NS High And Wide train 057.